‡Discount on available accessories for FCA US LLC vehicles. Maximum value: $200.00. 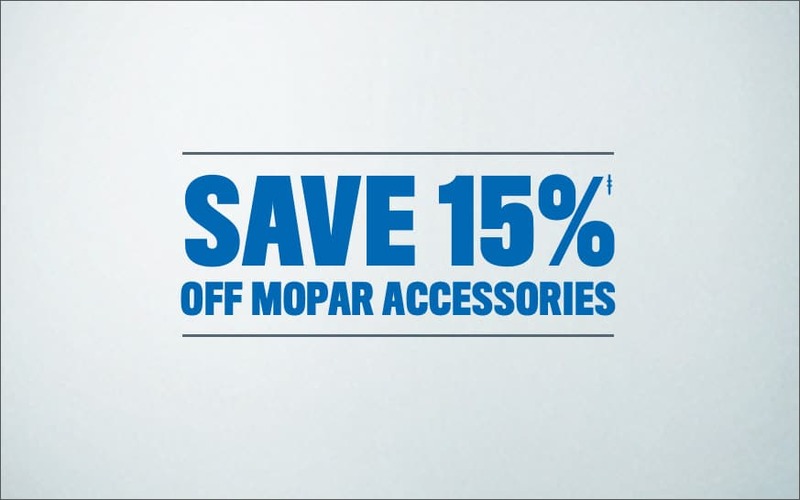 Mopar® Accessories are covered by either the 3-Year/36,000-Mile New Vehicle Limited Warranty or the 12-Month/12,000-Mile Mopar® Basic Limited Warranty, whichever is more favorable to the customer. See dealer for complete details and a copy of the warranty. Percentage-off may not be available on installation price. Customer is responsible for local tax and Shop Supplies fee. FCA US LLC vehicles only. Offer Expires 04-30-2019.